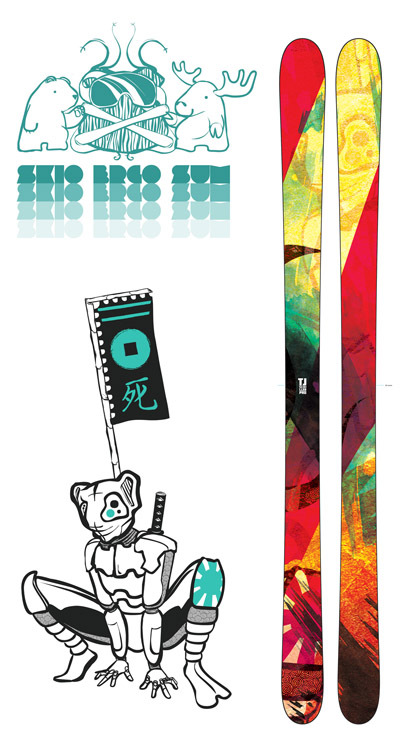 I’m really stoked right now because I just found out that my design has been picked by TJ Schiller to be featured on his next season’s CoreUPT pro model. A big thanks to TJ and his crew for running the contest, and congratulations to the runners-up, Daichi Ishikawa and Joseph Toney, looks like you guys’ll get some nice gear! The announcement is on TJ’s website, and my winnning design is below. If you click, it’ll take you to a higher resolution copy in my portfolio. Dude crazy design!!! I hope to get as good as you! Hey, congrats on winning! Your designs were sick for the T-Wall comp too. Thanks guys! DStreet, persistence will get you places you’d never thought possible. Good luck man. whooooa that is rad! it must be so exciting for you because this win combines two things that your’e interested in (snow sports and design), congratulations!